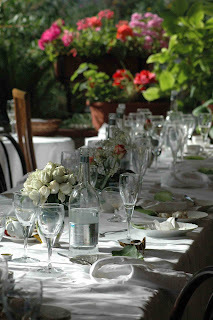 As many of you may know, I blog for Premier Table Linens about entertaining, table trends and Premier's product line. We are having a contest where you can win a $300 Macy's gift certificate or a $50 gift certificate to shop at Premier Table Linens or Premier Burlap web sites. 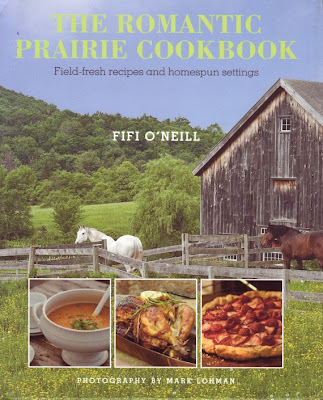 I know I'm not alone in saying that I have been anxiously awaiting the publication of Fifi O'Neill's Romantic Prairie Cookbook. 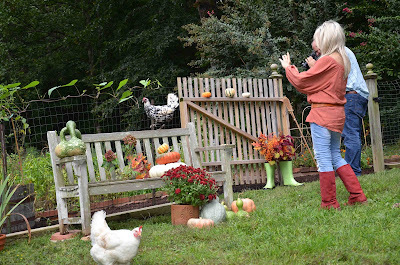 Of course, I have a special reason ... my little backyard farm and several of my recipes are featured in the book. 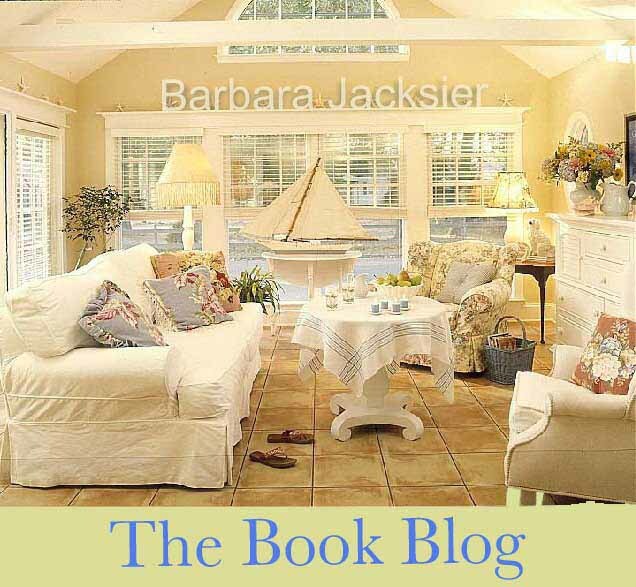 She said she had a copy of the book in her hands because it had shipped sooner than expected. Why hadn't my copy arrived? Luckily, patience is one of my virtues. "What are yours?" she replied. I didn't have an answer yet as I didn't have my copy. Elizabeth had already found one of my recipes. I was extremely flattered to learn that she had bought the ingredients and planned to make my pot roast with root vegetables for dinner on Monday night. All day Monday, the books arrived in folks' mailboxes and I have received calls and emails, asking "what are your numbers?" It was like a secret code! But my book hadn't arrived. 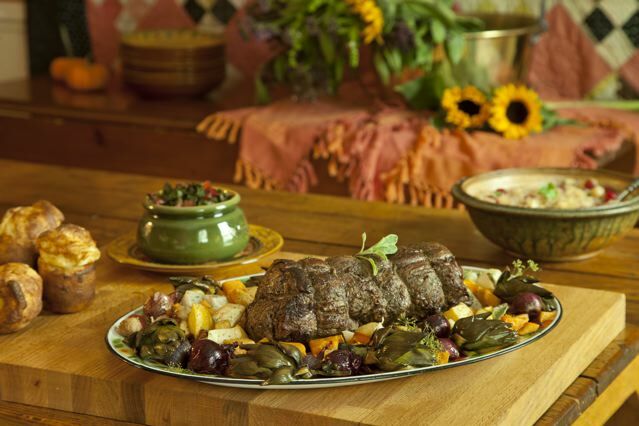 This morning, Elizabeth emailed to say she used a beef tenderloin and her roast was "spot on perfecto." She also mentioned that she had never tried celery root, rutabaga or parsnips (some of the root veggies that I grow) and really liked them roasted. Happily, my copy of the book arrived this morning and it's gorgeous. Now I can share my numbers! They are: 29, 76-77, 98-101, 126 and 150-157. You NEED a copy. And, if you try any of my recipes, please let me know. 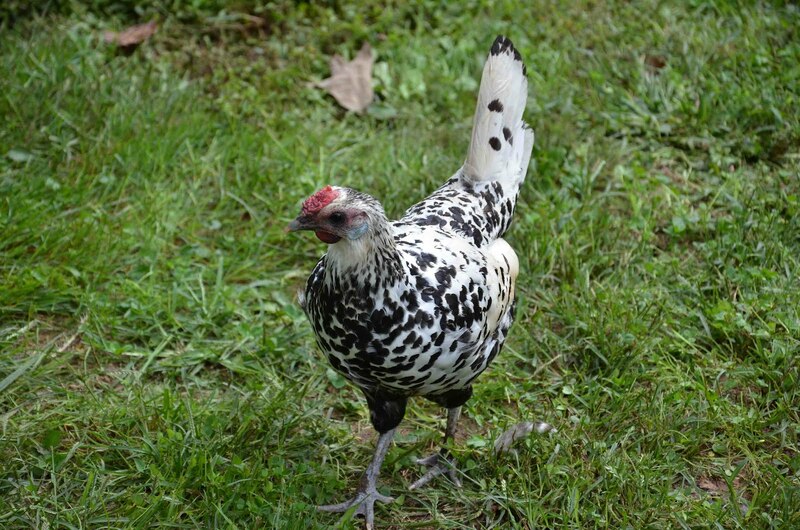 Samantha, one of my two Silver Spangled Hamburg chickens (aka the Miracle chicken), says she enjoyed modeling. In fact, she's starting to make a career of it! She is going to be filmed for a cable TV show later this week! 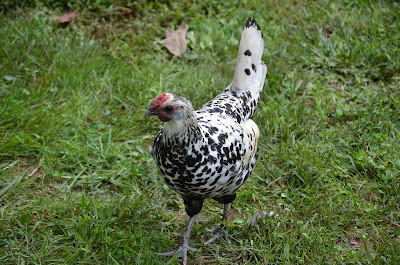 I'm a chicken whisper! Let me know what you think. I've definitely learned that I should never go out and tend my girls without putting on lipstick when a reporter with a camera is nearby! I was knitting a scarf when the UPS guy rang the doorbell. 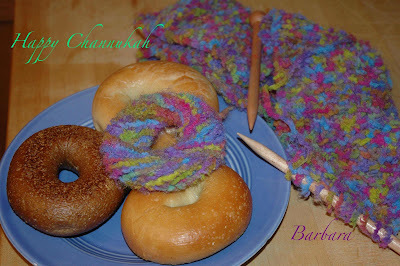 When I went to sit back down, the ball of yarn (or what was left of it looked like a bagel. (Okay, I guess I was getting hungry for lunch!) The rest is history, so to speak! When spending a day at the beach, I generally tote a towel, lotion, a book and a lacy hand knit shawl. I like to travel light, so why a shawl? It's in case I want to stay and watch the sunset over the water. In late afternoon when cool breezes begins to blow off of the water a shawl comes in mighty handy. This wind, officially known as "sea breeze," occurs in response to differences in temperature between a body of water and neighboring land. While any old sweatshirt would do, one of my hand-knit shawls feel more romantic for sunset viewing. 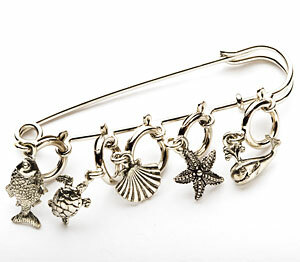 Today, I came across a shawl pin for beach-loving knitters (or shawl wearers). It's from Knit Picks and I couldn't wait to share my find... after I ordered one for myself, of course! It also comes in a Cat Lovers version or with knitting or nature charms. In the past, Tax Day has inspired me to say many things. Most of them are unprintable. 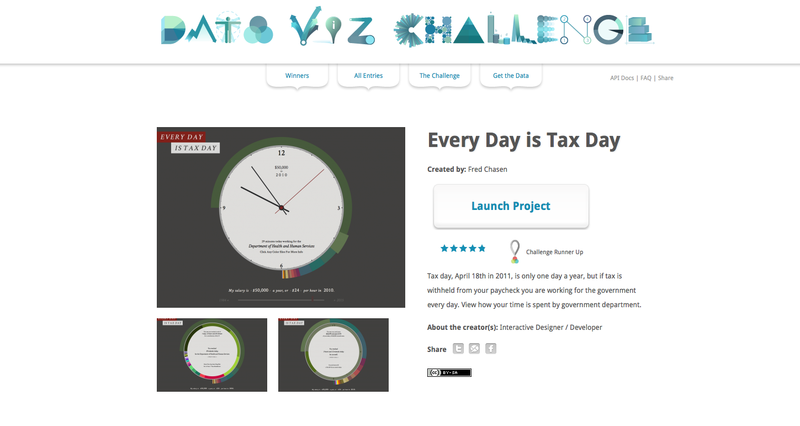 Today, however, Tax Day 2011, has me shouting yippee! And it's NOT because I got a refund. 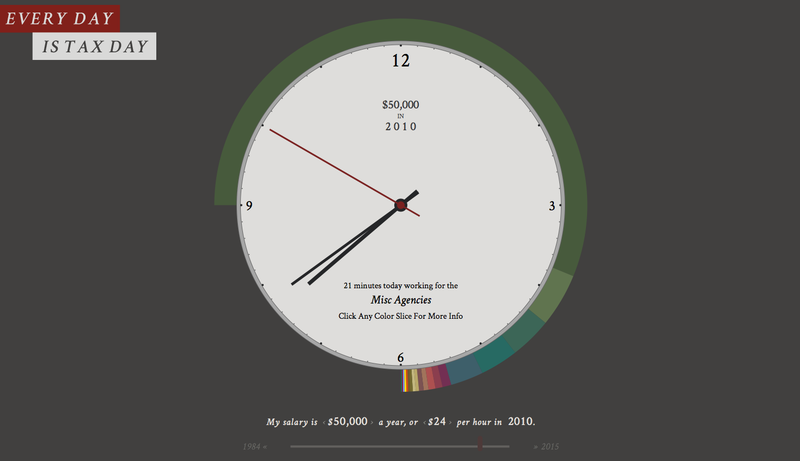 This year I anxiously awaited April 18th because today is the day the Grand Prize Winner of Google's Data Viz Challenge would be announced. 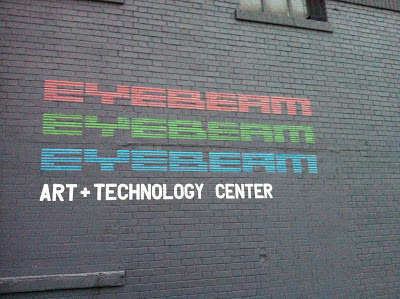 The competition was created by Eyebeam Art + Technology Center in partnership with Google and WhatWePayFor.com. 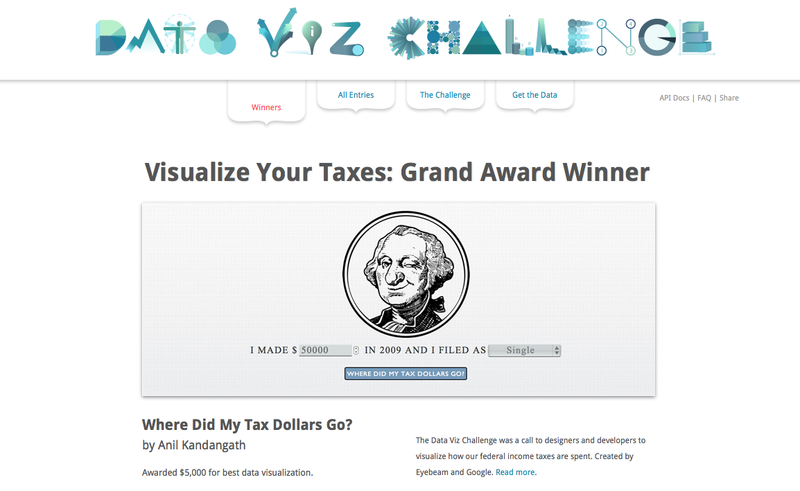 The challenge was for web developers to create a web program that helped average taxpayers discover how our taxes are being spent. 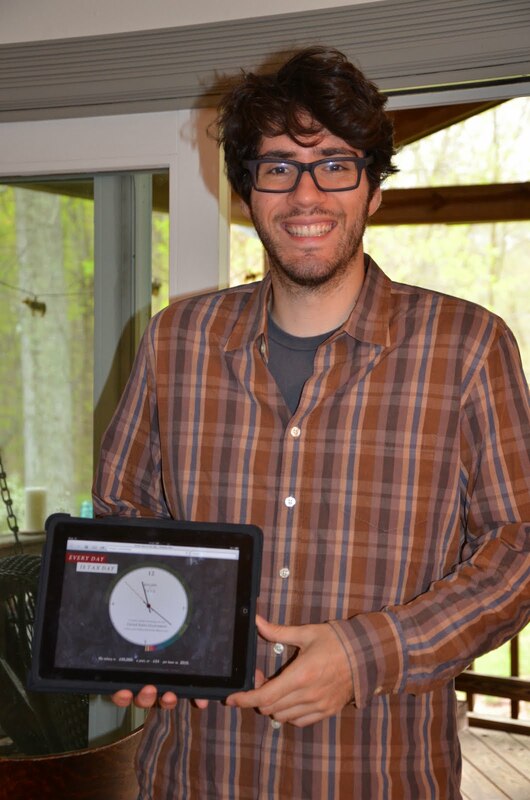 Last week, my son Fred Jacksier-Chasen was named one of six finalists. His program is called 'Every Day Is Tax Day'. 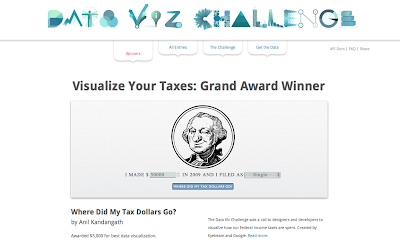 'Where Did My Tax Dollars Go', 'Budget Climber', 'Tax Mapper', 'What Do You Work For' and 'Visualize Your Taxes' are the names of the other finalists' programs. 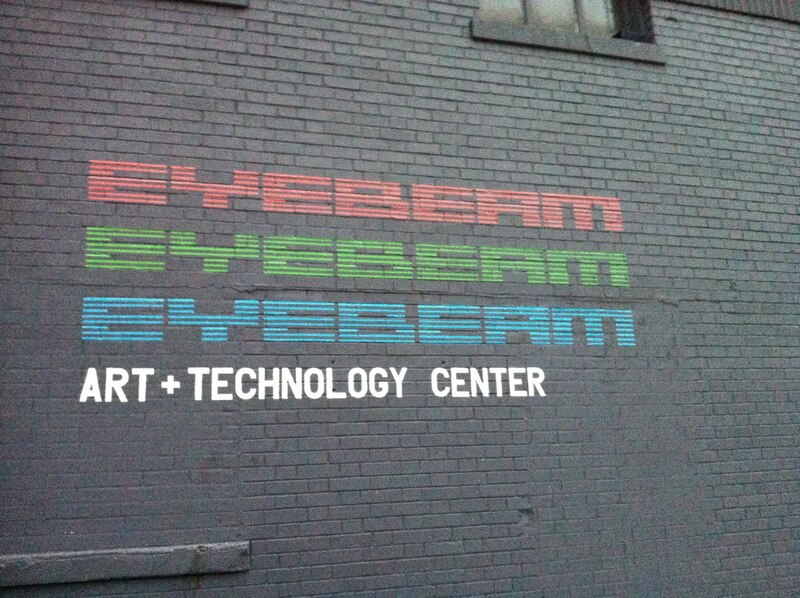 Eyebeam hosted a party in NYC for the finalists on Wednesday April 13th. Each finalist's program was showcased on a computer screen. Since Fred lives in California and couldn't be there, my husband Everett and I went instead. 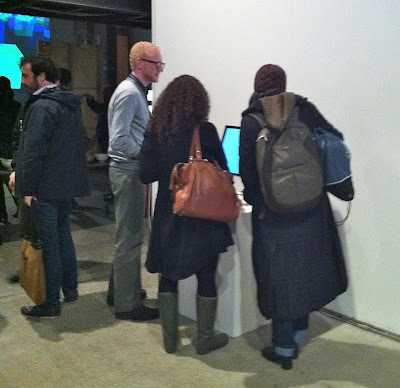 It was fascinating listening to all of the comments about the programs. This morning the winners were announced. Fred's program came in second. He was awarded $3,000. Hurray for Tax Day! Fred designed my web site, www.watersidestyles.com, too! Congratulations to Cora of Heartfelt and Homemade! 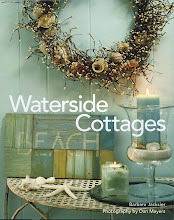 You have won a copy of Waterside Cottages. Thank you to everyone who entered and keep visiting because I'll be running a contest of my own later this season. 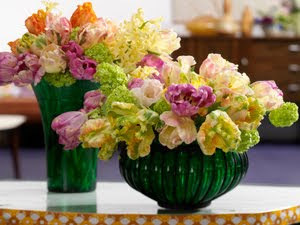 Hint: my giveaway will be a signed copy of Fabulous Fifi's Romantic Prairie Style. 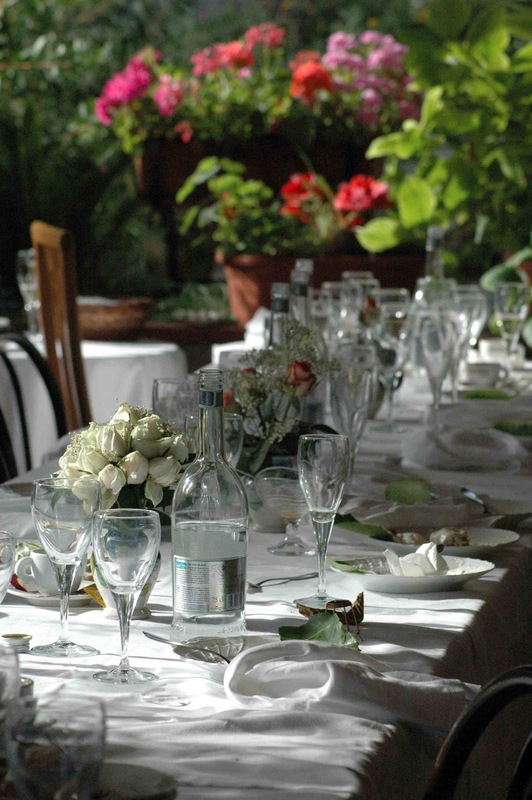 A big hug and thank you Lidy at French Garden House for the chance to share my story and get to know your fabulous fans! 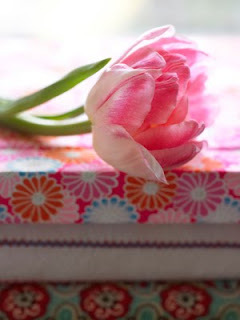 For the next few weeks, I am going to share some sensational photos that I have in my "Future Blog Posts" folders. Knitters have a term--STASH-- for yarn that piles up in your closets. It's all wonderful yarn, of course, and when you got it you planned to make something wonderful with it. Now, alas, you've moved on, and the yarn just sits there. I'm a serious knitter but have always tried to resist developing STASH. While I've done a pretty good job of keeping my closets clear and free (okay, there ARE a few shopping bags tucked into a corner or two...), I've not done nearly as well with Blog Photos. I've got hundreds on my computer (organized in neat little folders) that never got into blog posts yet. I spent this week looking over my PHOTO STASH. Most are too good not to share. Some never got used because they didn't relate to Coastal Decorating. Others languished because life moves so fast that they missed their chance before I moved on to other posts. I've organized my photo folders into themes and come up with a plan on how to showcase the best of the best. SO expect the unexpected as I spring clean my photo files. Hold on to your hat, it's going to be a wild ride. 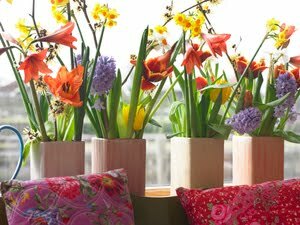 SPRING BULBS: At this time of year, I crave flowers. And the flowers that are coming up in my garden are my Fall bulbs. These gorgeous Spring bouquets, courtesy of the Netherlands Flower Bulb Information Center, all started with papery skinned, onion-like bulbs that are planted in Fall but bloom in spring. Each year when my hyacinths, daffodils, tulips and small bulbs bloom, I take photos. That way when the bulb catalogs start popping up in my mailbox, I can remember where there were blank spots that need filling in. The deer, squirrels, chipmunks and even my own chickens are hard on bulbs. 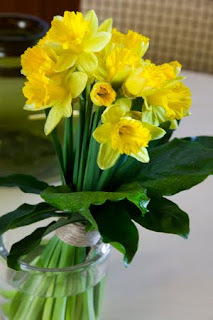 That's why I grow so many daffodils. Everyone loves to nibble on tulips but no one disturbs my daffs!